TOFFEE CRISP is the crispy crunch, chewy munch that you simply can’t resist! Originally created by Mackintosh’s. TOFFEE CRISP were launched into the UK market in 1963. The TOFFEE CRISP bar originated from John Henderson. Using crispy rice pieces and chocolate cake, a soft toffee was added along the top. 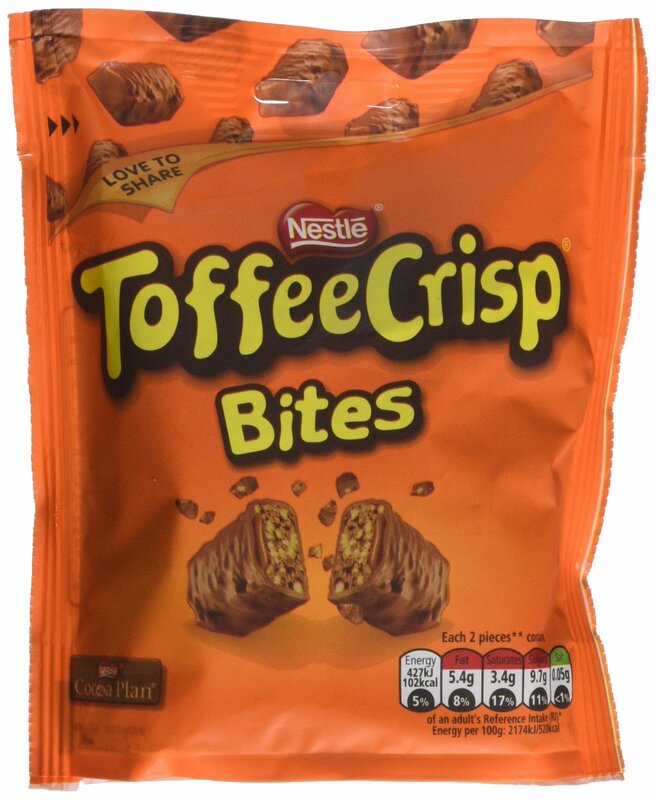 With its unique combination of textures with crispy cereal pieces, toffee and milk chocolate the TOFFEE CRISP was born. Initially TOFFEE CRISP Bars were produced at Mackintosh’s factory in Halifax, however in 2012 production was moved to Newcastle where they still continue to be made to this day.